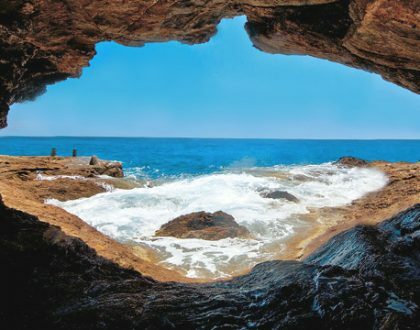 According to the Greek Mythology, Sikinos island received its name by Thoanta’s son, Sikinos, King of Limnos and “Vakchos and Ariadnis” grandson who resided in Naxos. 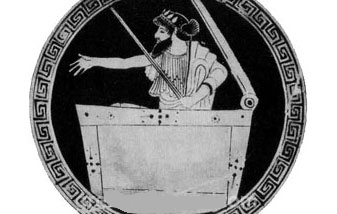 “Ipsipyli” in a try to save her son “Thoanta” from women of Lymnos, who caused the slaughter of their spouses, hide him in a wooden box and threw it in the sea! This box was drifted by the waves and found in Sikinos! Fishermen of region saved Thoantas. In Sikinos, Thoantas got married to “Niida”, the nymph, and had a son, Sikinos, who became the King of the island. According to Plinios and Stephanos the Byzantine, the most ancient name of this island was “Enoe”. 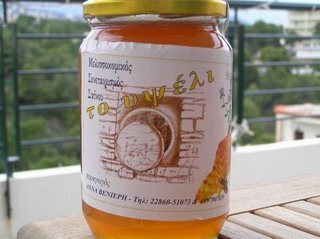 The name “Sikinos” has been maintained constant through antiquity up to today. Only at the season of “Fragokratia”, for some some time, it was turned to “Sykandros”, as priest Christoforos Vouedolmontis (or Bouedolmontis), had written when he visited Sikinos in 1422. He mentioned that this name was given to the island because of the lot of figs that the island produces [syka (gr.) = figs]. Sikinos is also named Sykandros, by Porchachi (in 1572), Boschini (in 1651), Riancenza (in 1688)… Sikinos is also mentioned as “Zetine” or “Setine” and “Setin” in naval maps of that time. The 10th century b.C., Sikinoswas resided by the Ions. The 5th century b.C., the island was under the sovereignty of the Athenians. After, Sikinos followed the fate of Cyclades islands. Thus, Sikinos met the sovereignty of the Romen, the Byzantines, the Venetians and the Turks. During the Venetian period belonged to the Duchy of Naxos. In 1537 the island was conquered by the Turks. It was united with Greece in 1829.